Leading bee scientist Jürgen Tautz is the winner of this year's Communicator Award, conferred by the Deutsche Forschungsgemeinschaft (DFG, German Research Foundation) and the Donors' Association for the Promotion of Sciences and Humanities in Germany. Tautz, a behavioural biologist and head of the research group for apiology at the Biocenter of the University of Würzburg, was selected in recognition of his outstanding, sustained, and innovative efforts to raise the public profile of his work and the scientific study of bees. The "Communicator Award – Science Award of the Donors' Association" is endowed with 50,000 euros and is the most important prize for science communication awarded in Germany. Established in 2000 by the DFG and the Donors' Association, the award is bestowed on researchers who have communicated their scientific findings to the public with exceptional success and rendered outstanding services to the increasingly important dialogue between the scientific community and the public sphere. The prizewinners are selected by a jury comprised of science journalists and experts from the fields of public relations and communications. The jury is chaired by a Vice President of the DFG. This year the jury was again asked to choose from a host of exceptionally talented and communicative candidates. A total of 20 researchers working in a broad range of scientific disciplines applied or were nominated for this year's Communicator Award. Five of these candidates were short-listed, with Jürgen Tautz chosen as the ultimate winner. According to the jury, the 62-year-old scientist has a remarkable talent for communicating both his own work and his research field to the public. After completing his doctorate in zoology at the University of Constance, Jürgen Tautz held postdoctoral positions at the University of Canberra in Australia and then later at Stanford University in the USA. He took up a position as Senior Research Fellow at the University of Constance in 1983, where he completed his habilitation thesis before he was appointed to the Chair of Behavioural Biology in 1988. 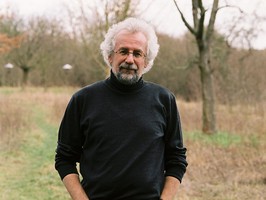 Jürgen Tautz has taught and researched at the University of Würzburg Biocenter since 1990. Tautz has successfully reached out to a wide range of audiences through a plethora of lectures, books, and articles in newspapers and journals, as well as an audiobook on bees and in public tours of the bee centre which he directs. His book "The Buzz About Bees" has been translated into 17 languages. The jury showcased one particularly original project, an online educational platform for teachers, pupils and students – "HOney Bee Online Studies" (HOBOS) – which Tautz developed in 2009. Featuring live real-time images from deep within beehives and interactive teaching materials for all school levels, HOBOS makes interdisciplinary research findings on honey bees accessible to diverse audiences around the globe and helps to nurture inquiring minds. According to the jury, the researcher's wide-ranging and highly original communication activities have generated significant interest both in his own specific area of studies and in scientific practice and research as a whole. Tautz raised public awareness of more general issues such as biodiversity and sustainability through the discussion of his particular research object. Jürgen Tautz is the thirteenth recipient of the Communicator Award. Previous winners have included mathematician Günter M. Ziegler, social scientist Jutta Allmendinger, and the Working Group on Glaciology at the Alfred Wegener Institute for Polar and Marine Research, Bremerhaven. This year's Communicator Award will be presented on 3 July at the Annual Meeting of the DFG in Dortmund by the president of the DFG, Professor Matthias Kleiner, and the president of the Donors' Association, Dr Arend Oetker. The prize money is donated by the Donors' Association, which unites more than 3,000 companies and private individuals who are committed to the pro-motion of science and science communication. Along with the prize money, Jürgen Tautz will also be presented with a hologram representing the Communicator Award. Created by Cologne-based artist Michael Bleyenberg, the hologram underscores the significance of transparency in science and expresses the importance of looking at things "in the right light". Like the hologram, it is only then that science can truly shine.